Myles McKay a Senior Physics/Astronomy Major at SCSU will be interning this summer (2015) at the Space Telescope Science Institute in Baltimore, Maryland. 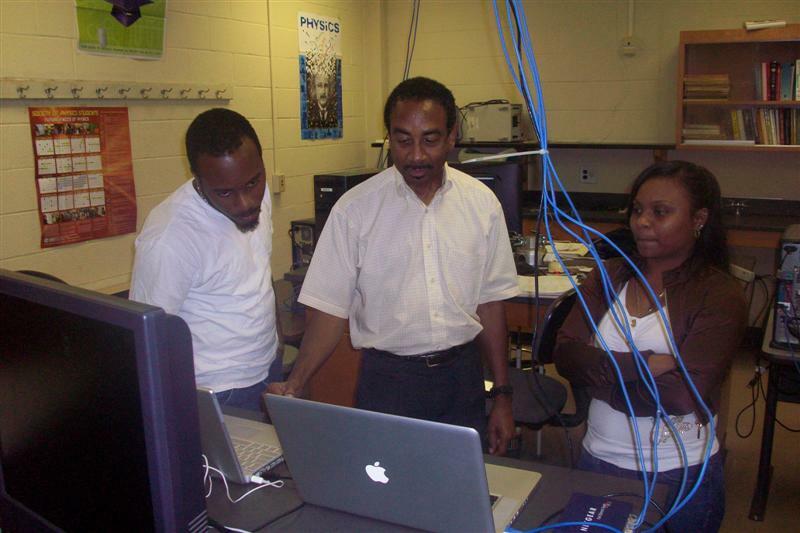 The SC State astronomy project, POCA, was recently featured on the NSF website. Go here for the story. Three undergraduates and two faculty members attended and presented at the recent meeting of the American Astronomical Society in Long Beach, California. First time observers Charles Kurgatt and Joe Bartolini joined Dr. Walter for a three night observing run on the Coude Feed telescope at Kitt Peak National Observatory. Interns Maria Martinez and Will Hernandez traveled with Dr. Walter to Kitt Peak at the beginning of their Summer 2012 POCA internship, observing with the Coude Feed telescope and touring other facilities. POCA Faculty Drs. Cash and Walter and Undergraduate physics major Bryan Pugh visited Kitt Peak National Observatory for a 3-night observing run on the Coude Feed Telescope. SC State is currently hosting the 4th annual POCA Undergraduate Summer Internship Program in Astronomy. This NSF funded program is similar to the NSF REU programs. However, the SC State program targets students who typically have little or no previous experience in astronomical research. 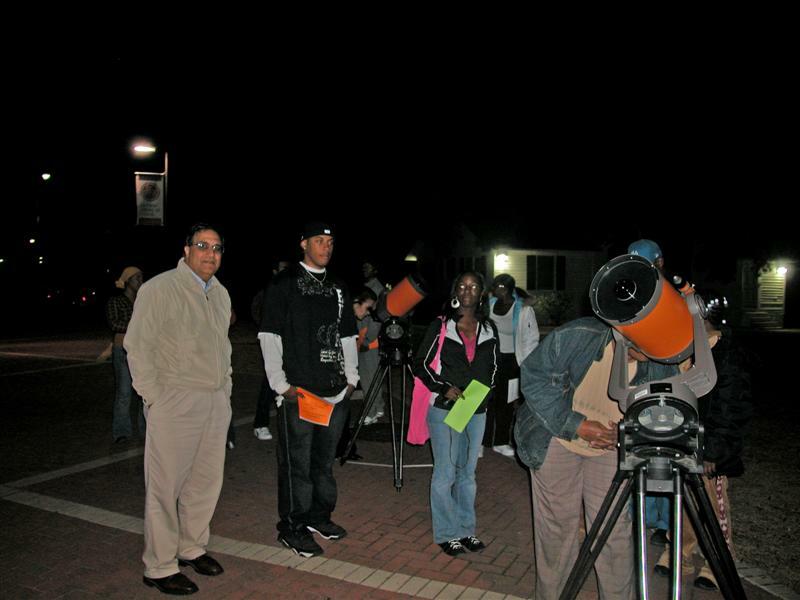 Students are in residence at SC State for eight weeks and conduct research as well as receive an overview of the field of astronomy. 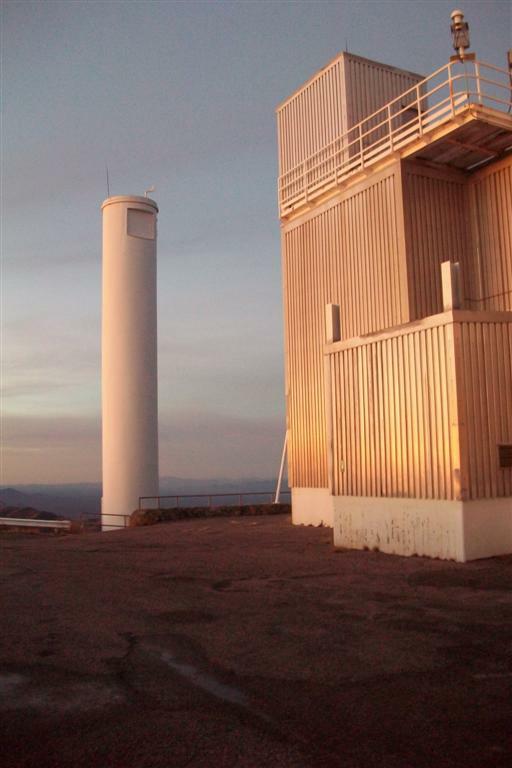 PI Walter continued the POCA projects long term study of RV Tauri and Semi-Regular variables with another successful observing run at Kitt Peak National Observatory using the Coude-Feed Telescope. Three nights out of four were useful, with one night lost to weather. Blue spectra (3700-5100 angstroms) were obtained including stars that were simultaneously being observed from space by NASAs Kepler Observatory as part of a program lead by Walter, Cash and Howell. Above: Photograph of the Coudé Feed Telescope by Dr. Walter. Drs. Cash and Walter traveled to the NASA Ames Research Center to work with astronomers in the Kepler Guest Observer Office . They examined light curves of stars taken by the Kepler Observatory as part of their NASA-funded study with colleague Dr. Steve Howell who is the Deputy Project Scientist for Kepler. Dr. Walter used the Coude-Feed Telescope at Kitt Peak National Observatory on three good observing nights out of four to acquire specta in the blue (3700 - 5100 angstroms) and red (6400-9000 angstroms) of a number of RV Tauri, Semi-Regular and peculiar stars. Some of the objects were being observed simultaneously from space by NASA's Kepler Observatory as part of a program lead by Walter, Cash and Howell. The MASC 2011 meeting at South Carolina State University was held on Saturday, March 26, 2011. For a summary of the meeting go here. 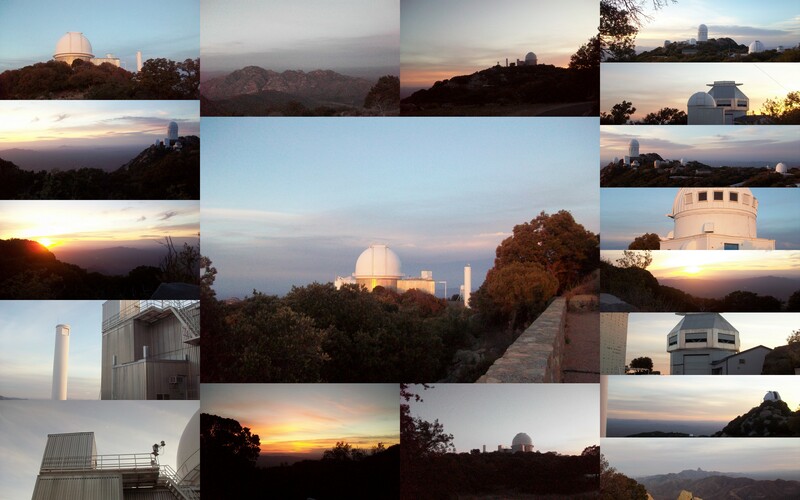 Dr. Walter had one good night of observing on the Coude Feed Telescope at Kitt Peak National Observatory . During this run. He acquired blue spectra (3700-5100 angstroms) of numerous RV Tauri and Semiregular variables. Included in the observations were several stars that were simultaneously being observed from space by the Kepler Observatory. Those objects are part of the year-long Kepler observing program of Drs. Cash, Howell, and Walter that has been approved and funded by NASA. Left: Edwin Mainia (left) and Bryan Pugh (right) look on as Dr. Cash (center) demonstrates how to fit light curves to AAVSO data. 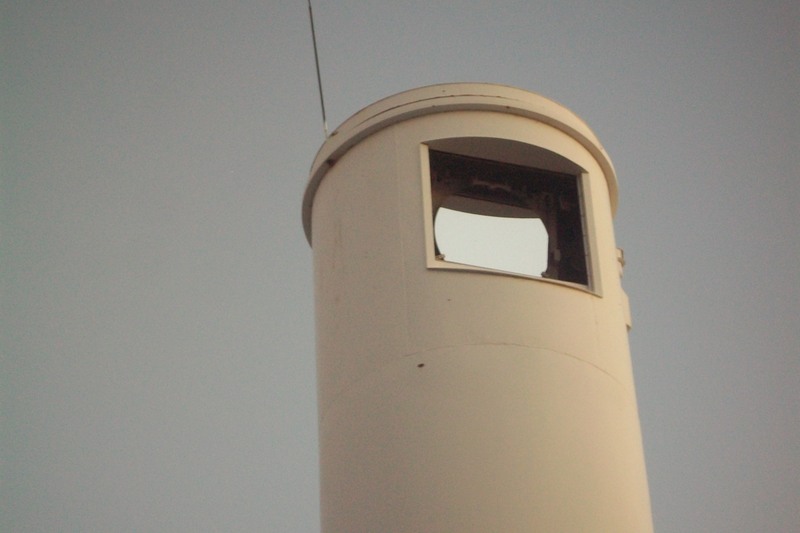 PI Walter conducted a five-night observing run on the Coude Feed Telescope. Observation results. Walter had five nights of good weather and excellent skies. He was able to acquire spectra in the blue (3700-5100 angstroms) and red (6400-9000 angstroms) of nearly 30 stars; including RV Tauri types and Semiregular variables. Above: Photograph of the Coudé Feed Telescope by Dr. Walter. Open this link for additional photographs. Drs. Cash, Smith and Walter plus students Eva Nesmith and Jared Lalmansingh attended the annual Meeting of Astronomers in South Carolina (MASC). This year’s event was held at the College of Charleston. Student poster presentations included one by Eva "Photometric Light Curve Analysis of RV Tauri Stars Using AAVSO" and one by Jared "Modeling the Hard X-ray Spectrum of a Type Ia Supernova". 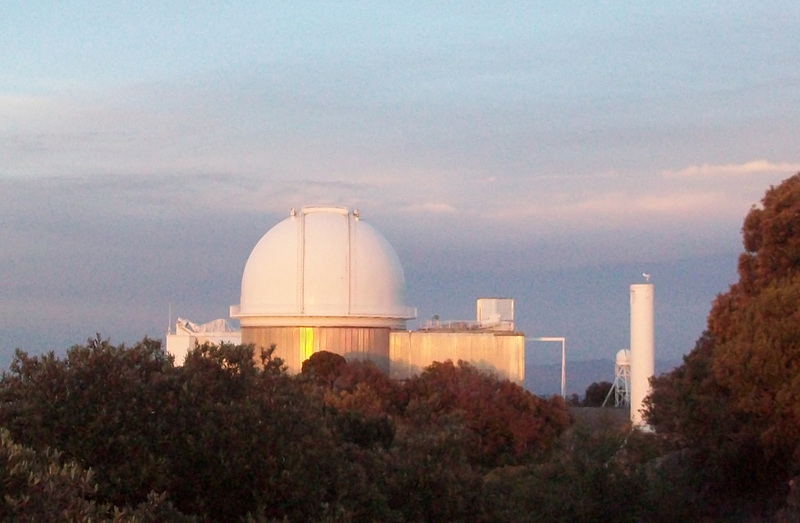 PI Walter attempted an observing run on the Coudé Feed Telescope , to acquire spectra of RV Tauri and Semiregular stars. However,all nights were canceled due to clouds and snow. 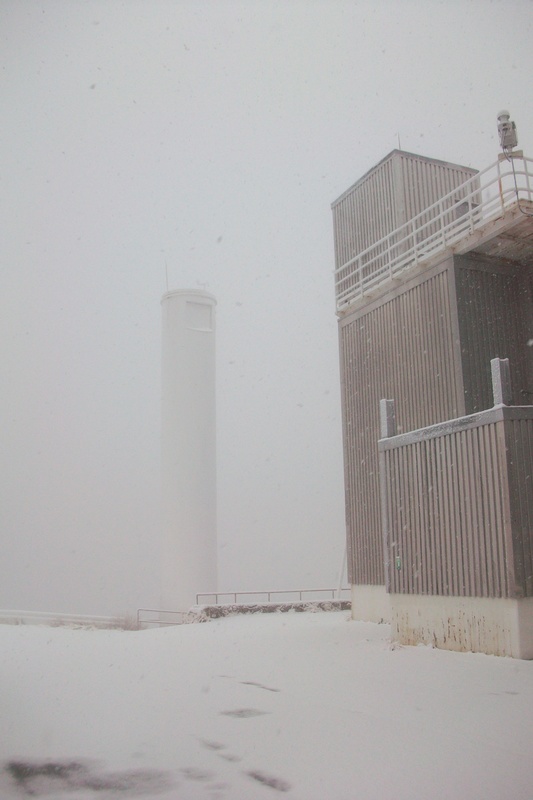 Left: Photograph of the Coudé Feed Telescope during snow storm by Dr. Walter. Open this link for additional photographs. Left: Photograph of the Coudé Feed Telescope by Dr. Walter. SC State POCA/PAARE student Jared Lalmansingh, who conducted his research at Clemson presented his results at the SARA meeting. 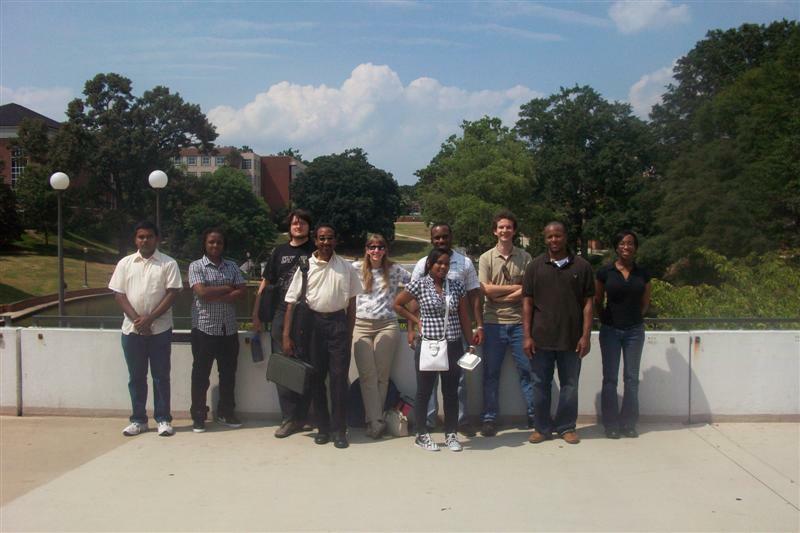 A total of 6 SC State undergraduate students were funded by POCA/PAARE to receive training and conduct research during the summer of 2009. Four were at SC State and one worked at Clemson University and another at NOAO. Details of their training and research can be found here. Poster Presentation by Co-PI Cash: " A Long Term Photometric and Spectroscopic Study of RV Tauri Stars." PI Walter and two students, Patrict Durant and Graham Davis, attended and gave presentations. 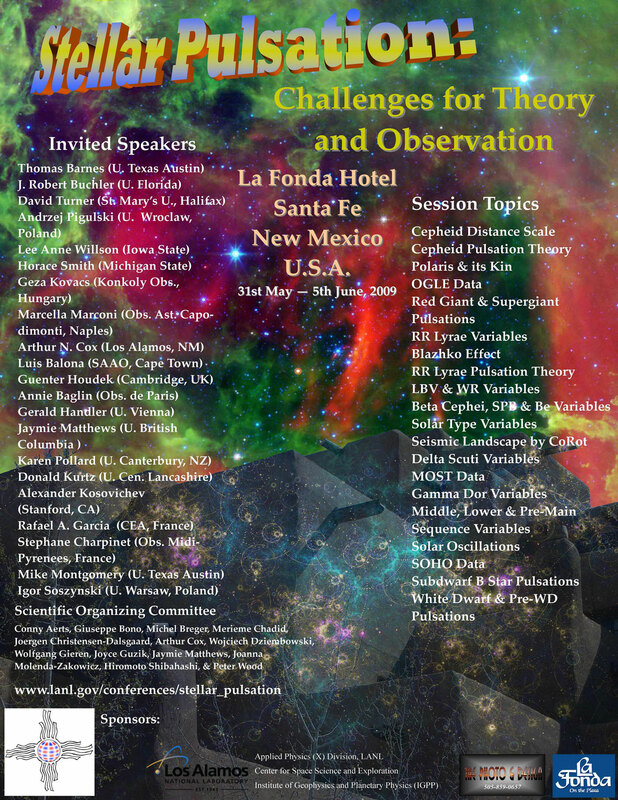 Posters were presented by Patrick Durant: "Analysis of Emission Lines in Select RV Tauri Stars" and Graham Davis: "Methods of Period Determination in RV Tauri Stars." PI Walter gave an oral presentation: "Partnering to Increase Diversity in Astronomy." An exhibit booth was displayed describing the SCSU-Clemson-NOAO PAARE project in order to recruit students to the summer astronomy internship program at SCSU and the astronomy Ph.D. program at Clemson University. 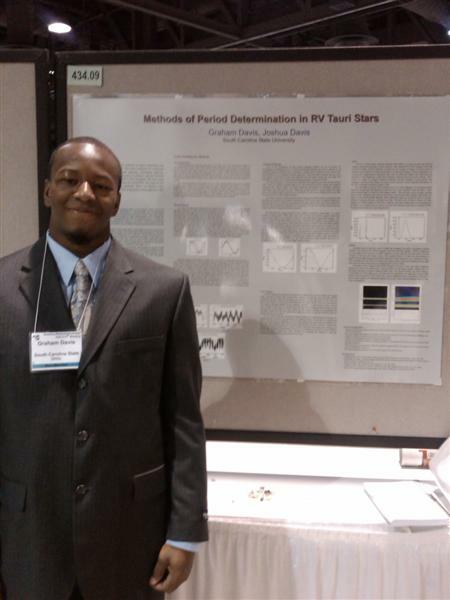 Patrick Durant, SCSU Physics Major and PAARE Summer Research Intern presented a poster entitled: "Analysis of Emission Lines in Select RV Tauri Stars." 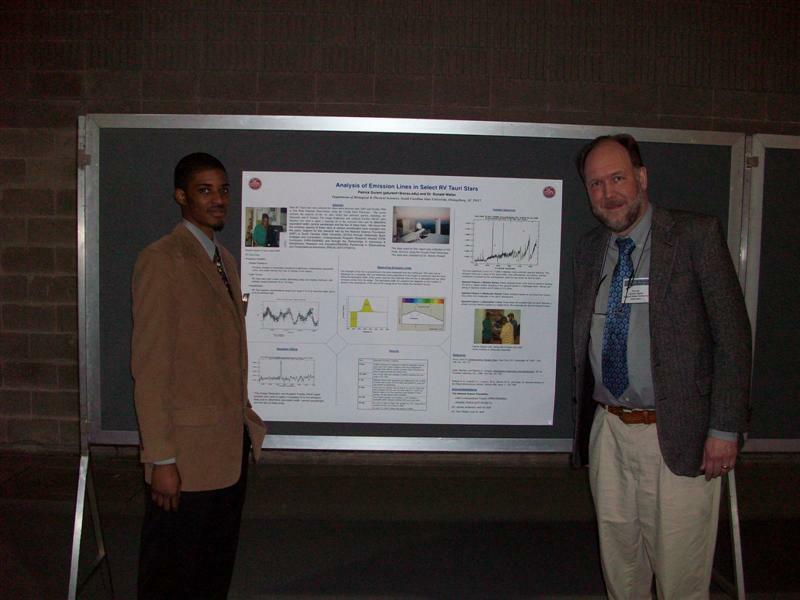 Left: Graham Davis presents his poster at the January 2009 AAS meeting. 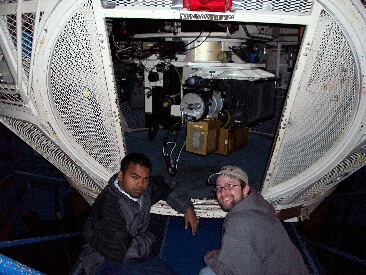 PI Dr. Donald Walter and SCSU physics major Jared Lalmansingh participated in an observing run on the 4-meter telescope with Clemson graduate student Eric Bubar. The experience so inspired student Lalmansingh that he decided to switch from a general physics major to physics major with the astronomy option. SCSU Co-PI Dr. Jennifer Cash gave a talk at the Rebka Scientific Conference entitled "Partnership in Observational and Computational Astronomy at South Carolina State University".